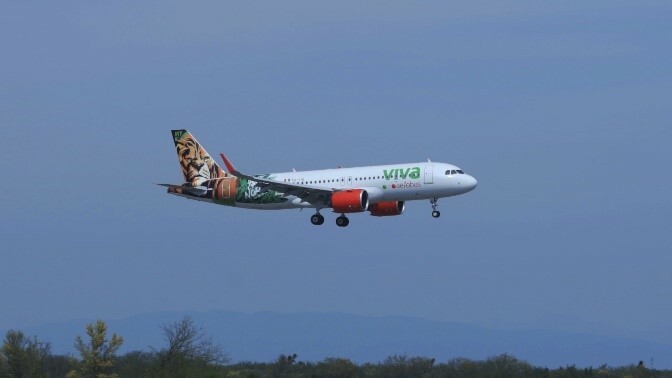 Monterrey, Nuevo León, March 8, 2019.- Viva Aerobus, Mexico's ultra-low-cost carrier, launched exclusive packages that connect passengers with the Tecate Pa'l Norte 2019 festival to be held on March 22 and 23 in Monterrey. Viva offers all inclusive trips, which integrate tickets to the event, hotel and flights from different cities such as Chihuahua, Guadalajara, Mexico City and Tijuana, considering also that we offer more than 30 routes with destination to Monterrey, being the operator with the highest number of flights to / from this city. "We always go a step further when it comes to boost tourism and the national cultural offer. Therefore, we decided to become sponsors of Pa'l Norte for the third time in a row, effort aligned to our expansion strategy focused on the domestic market. We keep our commitment with Mexico", mentioned Walfred Castro, Director of Corporate Communication at Viva Aerobus. 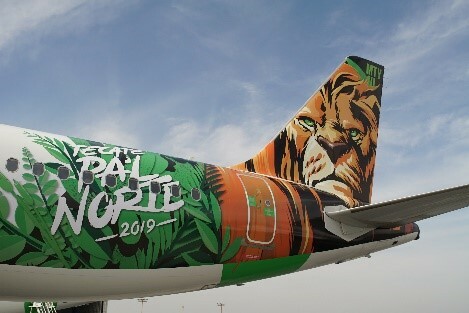 As ambassador of this show, Viva baptized one of its aircraft with the name and image of Pa'l Norte. In this way, the airline promotes the event on each flight. Besides, with its proposal characterized by low prices, Viva makes this festival available to more people from different regions of the country. Moreover, the airline will make multiple dynamics through our social media channels that will allow our followers to get tickets for this experience. During the festival, Viva Aerobus will also have activities and contests to win flight tickets; as well as a special guest area with drinks and free meals. Furthermore, Viva will have a “Surprise Stage” in which the public will enjoy more artists. Passengers can purchase their packages or flight tickets to Monterrey on the official website of the Viva Aerobus: https://www.vivaaerobus.com/mx/promociones/pal-norte, at VivaTiendas, or calling the Call Center +52 81 8215 0150.